Financial planning is an ongoing process to help you make sensible decisions about money that can help you work towards achieving your goals in life. It's not just about buying products like life insurance, an IRA, or stocks. 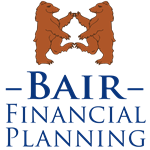 Marci Bair is a fee-based CERTIFIED FINANCIAL PLANNER™ Professional, who adheres to the fiduciary and ethical standard of the the CFP Board. 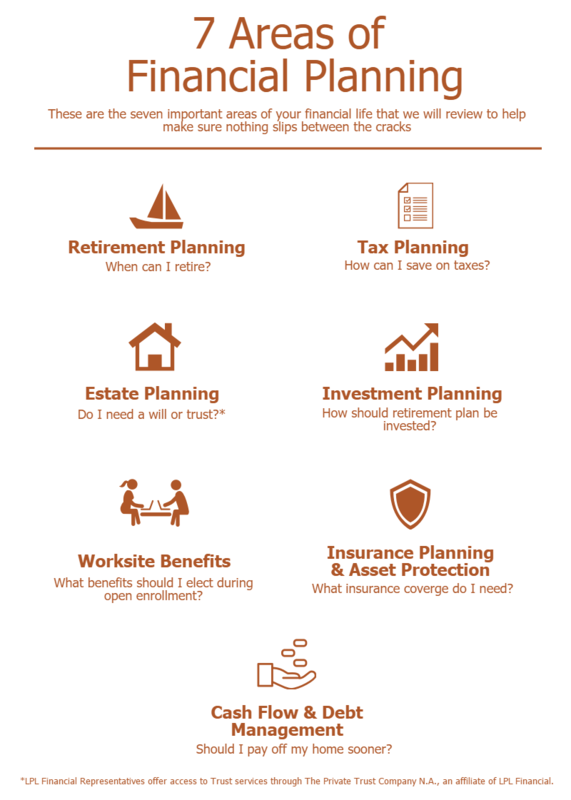 If you choose Bair Financial Planning, you can be confident that the 7 areas listed below will be analyzed. What is an ideal age for us to retire? When should I elect my Social Security benefits? My company offers a pension plan - what options should I elect at retirement? What's the most appropriate way to pay for my child's college education? Should I pay my mortgage off sooner? What is the most suitable strategy for my company's stock options? If you would like a consultation or second opinion please feel free to contact us for a time to chat.